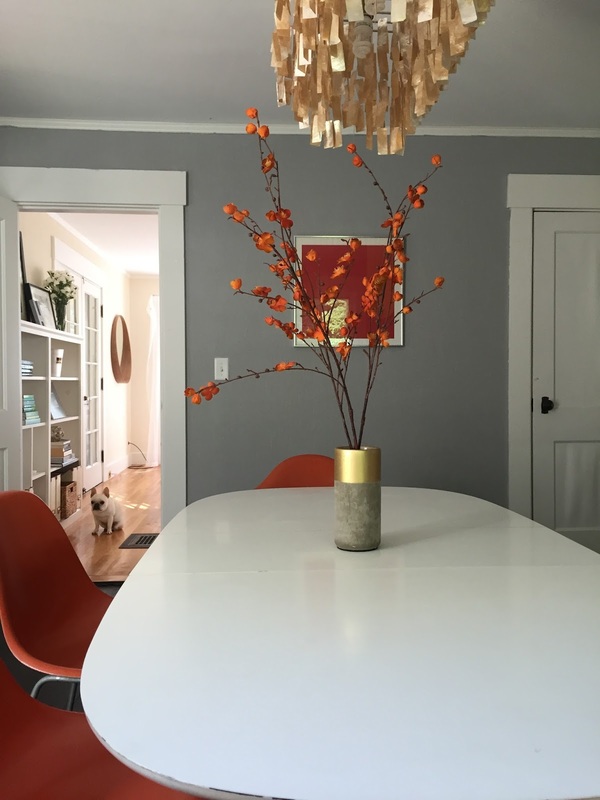 heather & olive: dining room: before and after. dining room: before and after. I wish I had today off, but alas, I'm back to the grind (and looking forward to a long weekend in Maine in 5 short days--I need a mini break). I thought I'd share the before and after of my dining room, which is one of the rooms that is almost 100% done. 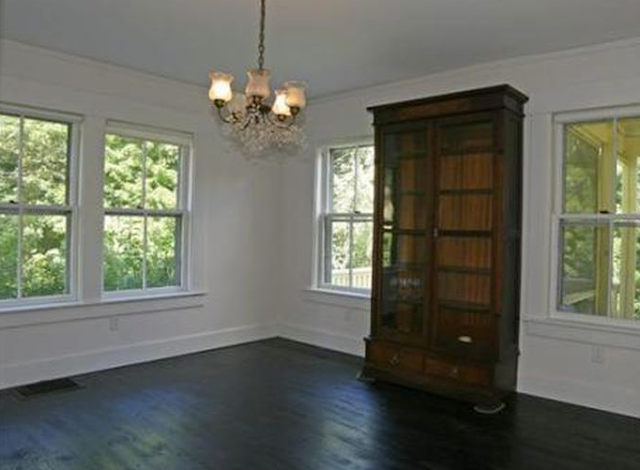 I just need some window treatments and perhaps a rug and I should be in good shape. 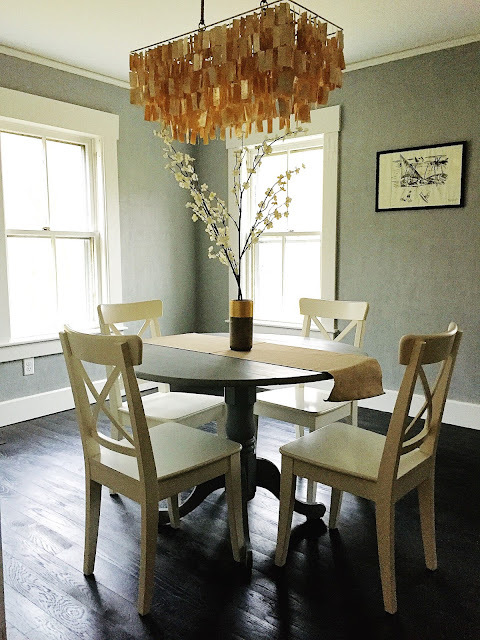 This was taken from the real estate listing, so I apologize for the quality, but it gives the gist of the room--they had recently replaced the floors with a dark hardwood and the walls were covered in a paintable textured wallpaper (that is/was throughout the majority of the house). The cabinet was removed by the seller, and I was not enamored by the chandelier, but there wasn't a ton to do in this room. 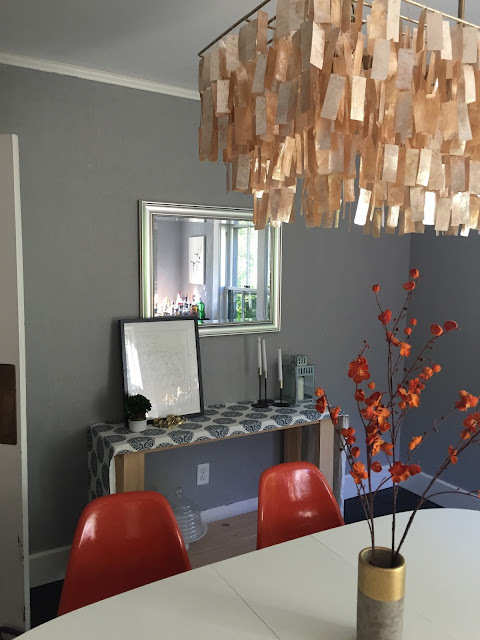 I replaced the chandelier with one from West Elm (similar here) and I painted the walls a light gray that was a nice contrast with the dark floors. I set up my old table and chairs from my previous loft apartment but I had my sights set on a new table because the old one was really too small and not conducive to having people over for dinner. 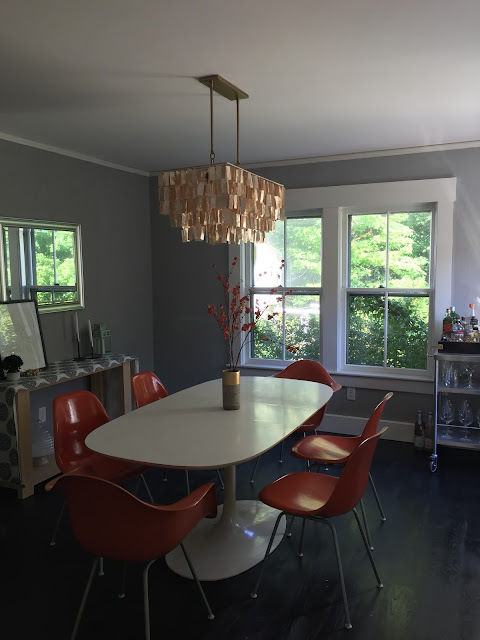 My current dining arrangement is on loan from my mom--the vintage Herman Miller chairs and tulip table belonged to my grandparents, but after my grandmother passed away and my grandfather moved into a smaller apartment, they needed a place to go. My parents didn't really have a place for them in their house...so for the time being, they're staying with me. 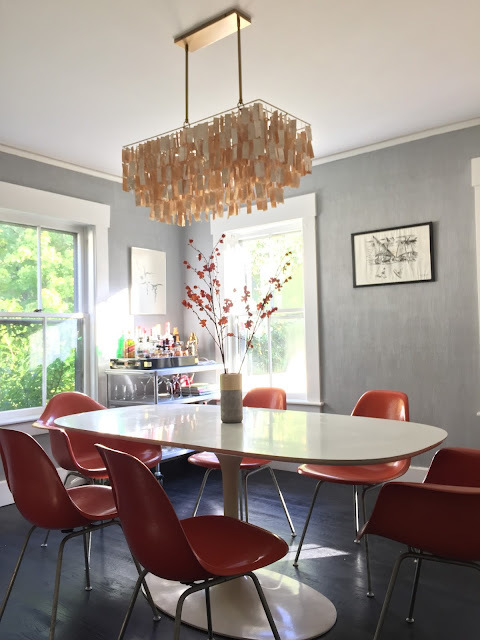 I absolutely love the design and the colors and the retro-feel it brings to my dining room, but most importantly, I have so many incredible memories eating around this table. Fondue parties, Thanksgiving buffets and breakfast with mini sugar cereals (that we were otherwise never allowed to have growing up) were all enjoyed in this very spot, and every time I walk past my dining room I'm immediately reminded of my grandparents. I'm so grateful to have this part of them in my home, and I can't wait to continue their traditions and start some of my own. 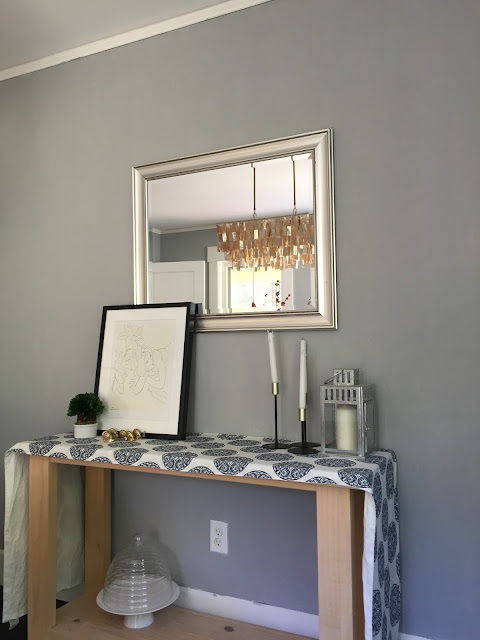 Love that you have included pieces from your family. 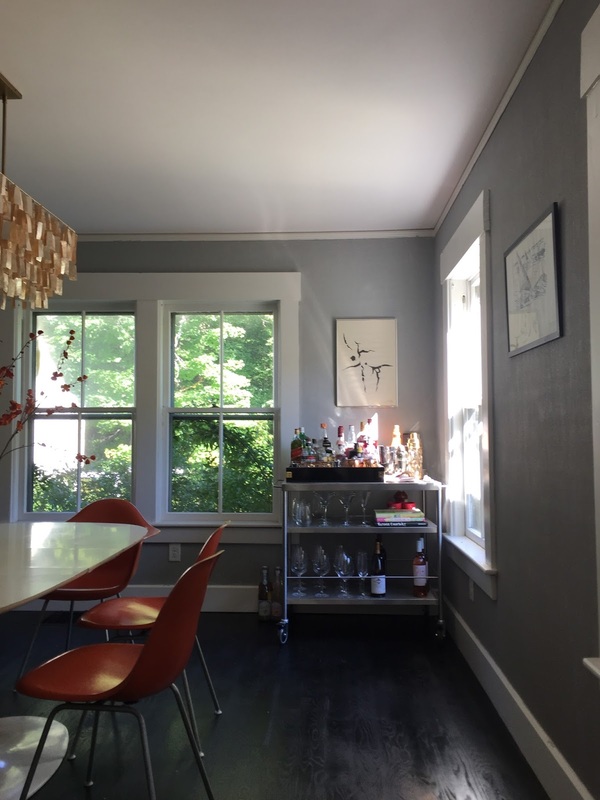 I love walking into a room and thinking "Mimi loved that." It looks amazing- wasn't sure about having that style in your historical house but it looks better than I ever imagined! Sometime you'll have to add a table cloth so we that we can play hide and seek. BREATHTAKING and family focused. Absolutely stunning, great work!